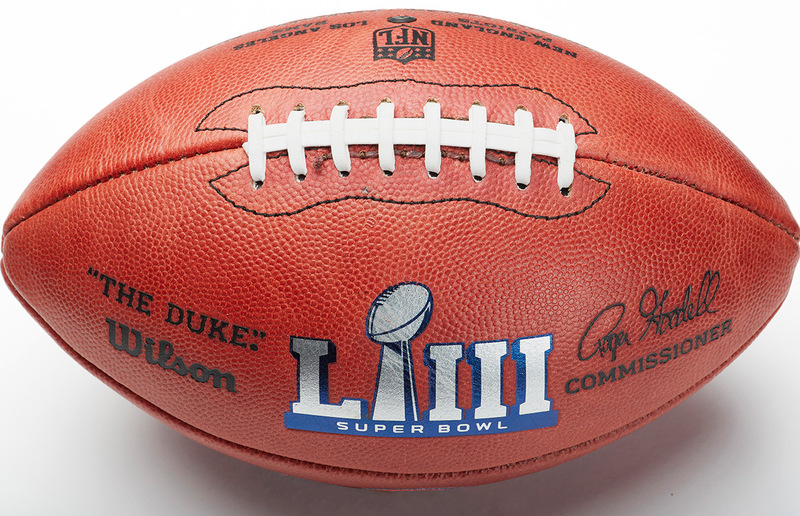 Super Bowl LIII (that’s 53 for those who don’t speak Latin) kickoff is less than 24 hours away and anticipation of the game is at a fever pitch for those who view Super Bowl Sunday as this country’s biggest secular holiday. But while all the hype, commercials and Super Bowl parties are part of the spectacle, let’s not forget that this year’s match-up between the New England Patriots and Los Angeles Rams is a very intriguing game. On one hand, the Patriots are a dynasty in every sense of the word, the most successful American sports franchise of the 21st Century and playing in their ninth Super Bowl in 17 years. In contrast, the Rams haven’t been to a Super Bowl in those 17 years and represent a part of the country, Southern California, that has never won one. The teams do share one similarity: the year 2002. That was the year the Patriots won the first of their five NFL championships, and the last year the Rams were in the title game. The Patriots beat the Rams with a last-second field goal, 20-17, setting the stage for an unprecedented run of success, including making the playoffs in all but two of the 17 seasons since. The Rams, meanwhile, who were playing in St. Louis at the time, would finish above .500 only once before moving back to Los Angeles two years ago. The different path each franchise has taken since that 2002 Super Bowl provides one of the most captivating storylines tomorrow. Can the Rams, whose loss in 2002 was the first step in New England’s ongoing dynasty, possibly exact revenge some 17 years later, and keep the very successful, and much despised, duo of Patriots head coach Bill Belichick and quarterback Tom Brady, from adding to their unprecedented resumes? The game also pits two teams that couldn’t be any more different in terms of Super Bowl experience. Of the 53 players on its active roster, 38 Patriots have at least one Super Bowl under their belts, while only four Rams players can say the same. And one of those players is wide receiver Brandin Cooks, whose Super Bowl experience came with the Patriots before he joined the Rams in 2018. That experience also shows in terms of head coaches: Belichick is in his 24th season as a head coach, and his 291 wins are third on the all-time list, and no one has won more than his five Super Bowls. Rams head coach Sean McVay, in contrast, is the youngest head coach to ever appear in a Super Bowl (age 33) and is only in his second full season as a head coach. That experience is probably why New England opened as a 1.5 favorite, and, as of Saturday, is a 2.5 favorite. But don’t discount the younger, hungrier and, arguably, more talented Rams in this contest. The focus on the pre-game hype is most often directed on the quarterbacks and that’s no exception this year, as the Patriots will wheel out Tom Brady, who has won five of the eight Super Bowls he has started, and makes a strong case to be considered the greatest NFL quarterback in history in terms of winning championships, against relative youngster Jared Goff, who is only in his third full year in the NFL. “I think Tom Brady will have an advantage because he always comes back on top from difficult situations,” said junior German Gutierrez, a business administration major. Football fans with even the shortest attention span only have to think back to two years ago prove Guiterrez’ assertion is correct. Trailing 28-3 at halftime to the Atlanta Falcons, Brady masterfully led New England back eventually snatching the 34-28 victory. Most prognosticators predict that the game will be high scoring and close, as the Rams averaged 32.9 points per game during the regular season, second best in the NFL, while the Patriots’ 27.3 points per game average was fourth in the league. The key may be the Patriots defense, which held opponents to 20.3 points per game in the regular season, fourth best in the league, while the Rams defense was sometimes exploitable, as they averaged 24 points given up per game, 20th in the league. But if there’s anything that recent Super Bowls have shown us is that come kickoff, scheduled for 3:30 PST Sunday, you can throw all the previous stats out the window. Since 2008, only three Super Bowls been decided by more than eight points, and anyone who thinks the Patriots’ track record gives them the decided edge need only look to last year in Minneapolis, when the Philadelphia Eagles shocked the sporting world by upending the Patriots.41-33. When you consider the Rams have a far more talented quarterback in Goff than the Eagles’ Nick Foles, and a vastly superior running game led by Todd Gurley, don’t be surprised if the city of Los Angeles claims its first Super Bowl title.